Astronomy student Jennifer Burt helped write software that turned a powerful telescope at Lick Observatory into the first automated planet finder in the world. 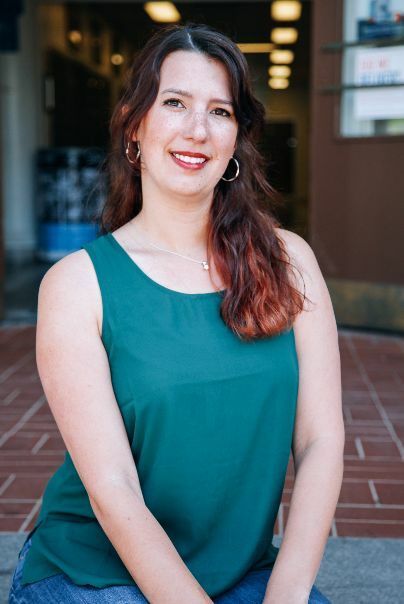 Every night for a year, astronomy graduate student Jennifer Burt would settle into a small room on the UC Santa Cruz campus and begin her job as a planet hunter. While most people slept, Burt would examine weather, atmospheric conditions, and time of year before deciding which stars on a long list of possibilities would be the best targets for a powerful telescope located at Lick Observatory on Mount Hamilton. A run of fingers over computer keys would then start the telescope searching portions of the night sky for its prey: planets that orbited stars beyond our solar system. Which is exactly what the competitive ballroom dancer and former Cornell University grad did. She went to work helping write software that turned the $12 million telescope into a robotic version of herself. It became the first automated planet finder in the world. Soon, however, Burt will give up the redwoods of Santa Cruz for the historic streets of Cambridge, Mass., where she won a post-doc fellowship at the Massachusetts Institute of Technology and hopes to work on a NASA project aimed at discovering more about these so-called extrasolar planets or exoplanets. The project, dubbed TESS (Transiting Exoplanet Survey Satellite), is designed to determine the radii and orbits of the planets it detects. More than 3,000 have already been discovered. With nearby Harvard also taking part in the project, “it’s a cool place to be for someone like me,” Burt says. She notes however, the opportunity might not have happened without the guidance of her UC Santa Cruz mentors and a $10,000 scholarship from the Achievement Rewards for College Scientists (ARCS) Foundation. Tall, with long, dark hair and a way of explaining astronomy that can make even a science-phobe get excited about stargazing, Burt came to her career thanks to an old telescope set up at a family cabin in the Adirondacks and an energetic teacher who ran a NASA club at her high school in upstate New York. A club visit to Arizona State University, where NASA projects were being undertaken, sealed her fate. “That trip made it clear early on for me that astronomy was a viable career path,” Burt says. At Cornell, Burt’s attention was grabbed by the emerging field of exoplanet research, which led her to UC Santa Cruz and two professors of astronomy and astrophysics, Laughlin and Steve Vogt. Here, she began her nocturnal planet detecting with the result that her team was able to discover three different planetary systems using the APF telescope. The finding that most electrifies her was the detection of six planets orbiting a nearby star with the decidedly un-electrifying name of HD219134. Burt also is credited with locating a Neptune-sized planet orbiting a red dwarf star, and, while she admits there was nothing exceptional about this particular planet, the discovery showed the APF is designed perfectly for its job, which is to find even the most common planets. For Burt, who sports a star-shaped ring and a galactic-themed cell phone cover, the future holds the promise of discovering more about these exoplanets: their properties, their origin and, as always, whether there are other habitable Earth-sized planets out there. Delving into far-flung mysteries is exactly the place a sci-fi-loving scientist like Burt wants to find herself. But she wouldn’t have arrived, she says, without the ARCS scholarship—which allowed her to travel to meet prominent people in the field, resulting in a post-doctoral position—and also without the help of Laughlin and Vogt. “Any scientist’s eventual success is based, in part, on the people who supported them along the way,” Burt says. “I’ve been extremely fortunate to work with advisors who were always willing to share their knowledge, while also continually pushing me to become a better researcher.